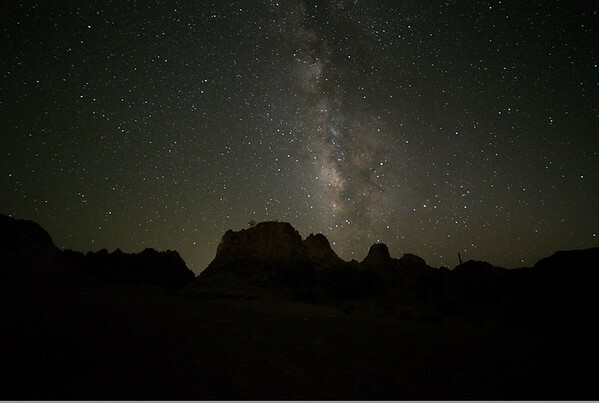 In this document I will discuss my process for post processing Milky Way shots using Adobe Lightroom using a shot that was taken in ideal conditions. The following shot is straight out of camera. As you can see it’s a bit bland although the Milky Way is clearly visible. NOTE: The following settings are the actual settings for this shot. 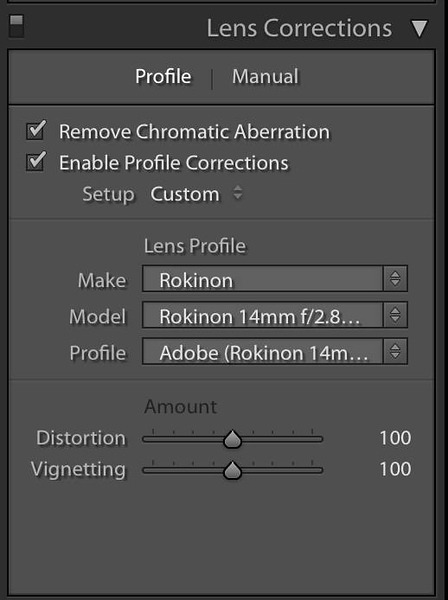 Start in the “Lens Corrections” panel selecting “Remove Chromatic Aberration” and “Enable Profile Corrections”. 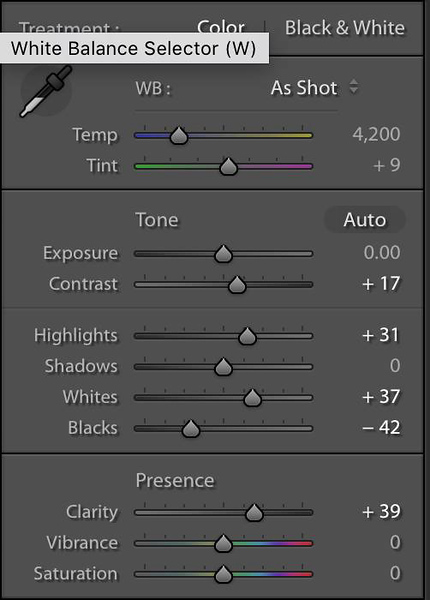 If Lightroom cannot automatically identify the lens, then select it under “Lens Profile”. PS. I always start here, no matter what type of shot it is. 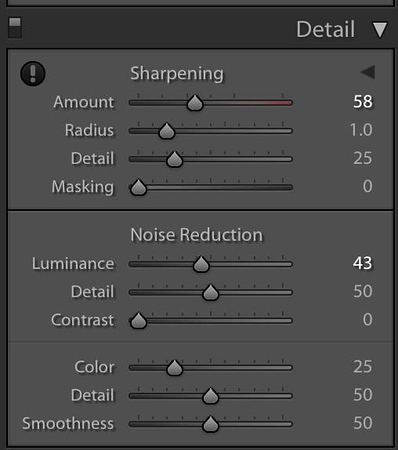 In the “Detail” panel, increase the Sharpening Amount and Noise Reduction Luminance. The amount of noise reduction will depend on the ISO you used in your shot. FYI, this is always the second thing to do, no matter what type of shot it is. In the “Basic” panel, I increased the Contrast, Highlights, Whites, and Clarity. The amount of the adjustments will depend on the actual shot. 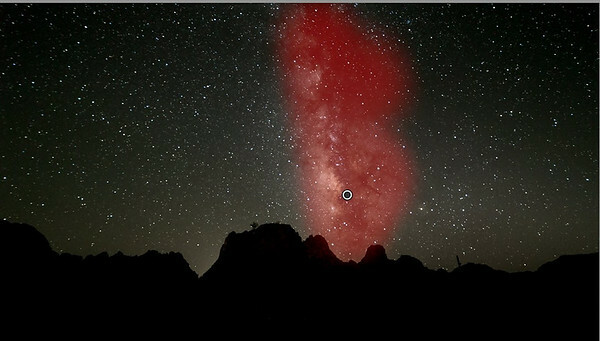 Increasing the Contrast too much can darken the sky to the point where you can’t see the dark matter in Milky Way. Next I used the “Adjustment Brush” to finish bringing out the details in the Milky Way just a bit farther. 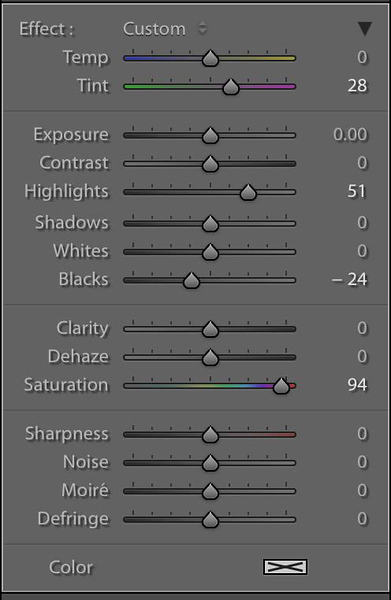 These are the settings I used in my brush. This is the area I painted with the brush. Here is the finished product. No other work was performed on this shot.